How does Acupuncture and Traditional Chinese Medicine work? 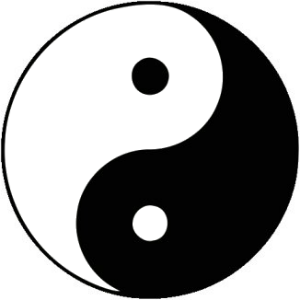 The fundamental principle of Acupuncture and Chinese Medicine is to restore balance and harmony of mind and body, re-establishing order to system malfunction, treating both the cause of disease and the manifesting symptoms and/or pain. As treatment is aimed at the root cause of the condition as well as the symptoms, a more permanent solution to the problem can be found. As a holistic approach to medicine and treatment, Acupuncture and TCM does not solely focus on the indicated problem, but the entire body and mind as an integrated health system. Acupuncture a unique natural medicine based on the centuries-old concept of Yin and Yang. The Qi, the vital evergy circulates through the body along meridians, similar to the circulatory, nervous and lymphatic systems. When the Qi is imbalanced, disease occurs. In acupuncture, a very fine sterile needle or moxibustion (heat source) is applied to certain points along the meridian to balance the flow of energy and promote health by harmonising the Qi. Unlike drugs used in orthodox medicine, acupuncture has no side-effects. The above-mentioned conditions are only a guide for what acupuncture can help. At the Hong Tao Clinic, a thorough assessment of each case is given at the first consultation prior to treatment. To book an appointment with the Hong Tao Acupuncture Practice, please contact our clinic.